Will The Day Come When Drug Is The Only Solution For Obesity? With the release of Alli (first FDA Approved over-the-counter weight loss pill in US), what will be the future of obesity? Will drug be the answer? The day will probably come when obesity is classified as disease. What does it mean if this thing really happen? When it happens, all the big pharmaceutical companies will create even larger fortune with prescription of drug cure. I read the Wired magazine with great interest which it delves into the insidious promotion of obesity as a disease and how these pharmaceutical companies are involved in the lobbying. Drug firms do well, not purely because of their excellent Research and Development (R&D), but also because of their marketing engine. They are not letting go the opportunity this time knowing obesity is a legitimate health crisis happening in developed countries. Obesity is not the first case which a daily life issue has being recognized as a disease. Alcoholism and clinical depression were all once considered personal problems that are now recognized as legitimate medical disorders. If these companies are really successful in convincing the authority that obesity is a disease, it is still up to the obese people to decide whether they want to consume those drugs. However, I bet that most will take the easy way out to buy the drugs. Many people are getting used to solving health issue with pills. Just look at their lifestyle – instead of eating fruits and veggies, they take supplements; instead of playing games outdoor, they go for Wii. So, I won’t be surprised that instead of eating right and exercising regularly, people will drive to pharmacy and buy the weight loss drugs. The mindset of “I am ill and I need to eat pills” is hard to be changed. Though I do not deny that obesity is a health issue, this “metabolic syndrome” is a marketing term. We will not die because of metabolic syndrome, but we may die of what it leads to – diabetes and heart disease. Obesity is a lifestyle problem and it is personal responsibility to eat well and exercise regularly. Drug should never be the permanent and the only solution. for the original source please click here. Each time I visit Tom and his team you are never quite sure what you will be put through. No one work out is the same yet they manage to always include your personal goals and tailor the exercises to you needs. All of the ProTom team are hugely knowledgeable and this shows in their classes. Couldn’t recommend them enough! Since starting my fitness journey with ProTom fitness, I have never been so pleased to see such great results in regards to my fitness level, technique, core strength and balance! I regularly take part in the Muay Thai training classes. Tom will make sure he will get the best out of you. Always a Friendly environment with great instructors. I would highly recommend! Excellent PT and kickboxing with Pro Tom Fitness I have been training with Tom for around 1 year now, with a mix of kickboxing lessons, group PT and strength training PT. He is highly knowledgeable, with a focus on core and functional strength and proper form along with high calorie burning and strength building, utilising either HIIT, martial arts exercises and traditional strength exercises as well as a range of other techniques you won't find in a 'normal gym' (medicine ball training for example). I found Tom's workouts unique and they always kept me motivated. He genuinely cares about his clients and is very focused on proper form so a great person to see if you have ever had an injury. Highly recommend Tom at Pro Tom Fitness. I couldn’t be happier with my time at ProTom Fitness. Tom is a great, honest trainer and has really helped me improve my strength, stability and flexibility. I came to Tom with a challenge, I had torn the cartilage in my knee and was desperate not to lose the fitness in my legs whilst awaiting my surgery. He tailored the training around my injury and has actually built the strength and stability in my legs so that I will be in better position for recovery following my surgery. Tom also identified early on areas for me to improve that I just wouldn’t have known without a personal trainer who knows his stuff. The sessions were fresh and interesting each week and showed how you can use a simple set of gym equipment and your body weight to do everything you need. It’s all about the free form board! I would and already have recommended ProTom Fitness as a personal trainer to my friends. I first heard about ProTom Fitness when attending a talk given by Bristol based adventure racer Nick Gracie and was intrigued to hear Nick say that attending Tom's classes had helped his running and to be injury free. As someone keen to improve their running but who had been struggling with injuries I decided to give the classes a go. I've now been going for nearly a year now and it's been great. The classes are hard but well pitched and varied; Tom and the other instructors are fair and encouraging, helping you get the best from yourself in every class. I've enjoyed injury free running for months now (including no lower back pain), and put a lot of this down to the improvement in my core fitness and strengthening that I've been doing by going regularly to the classes. Why don't you give it a go?! In summer 2018 I badly sprained my ankle and decided to ask Dom for some individual PT sessions as I couldn't go to the group classes - the individual sessions have been great! Dom was incredibly patient; he pitched each session perfectly in terms of pushing me but also managing my injury and building on what I could do by way of rehab and recovery. I think it's been a really key part of getting over the injury & back to running, and I continue to be impressed with ProTom Fitness! We are different to many other trainers in the market. We believe that the use of the correct muscles and creating balance in the body and mind will bring you the most optimal results whatever the goal. Therefore we’ll ensure you’ll receive the highest level of training to get stronger and fitter, whilst remaining injury free. So, it’s no surprise we’ve been rated the 2nd best personal training company in the UK. 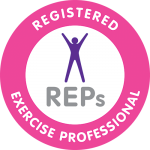 Personal Training and fitness classes based in Bristol. *Disclaimer: all our testimonials are real, but we cannot guarantee that you'll experience the same results. Results can vary and will depend on your circumstances, your diet and the effort you put in.